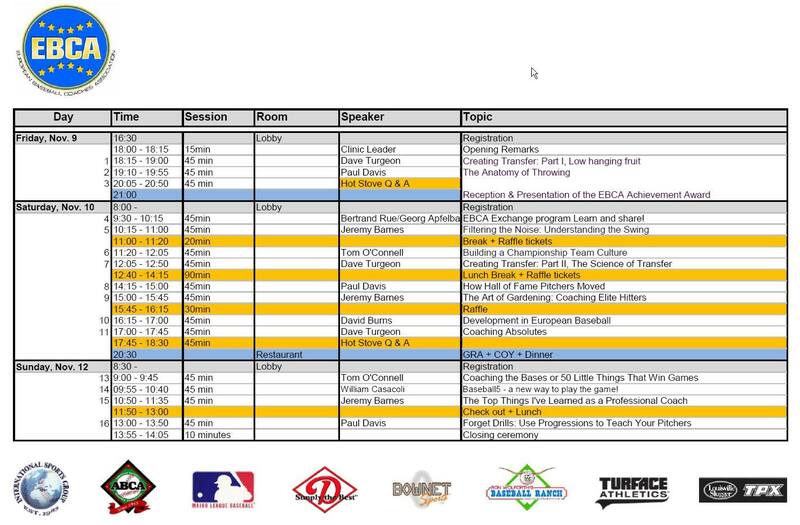 The European Baseball Coaches Association (EBCA) released the program for the 2018 EBCA Convention, which will be held next weekend in Mulhouse, France. Speakers will be Dave Turgeon, Paul Davis, Bertrand Rue, Georg Apfelbaum, Jeremy Barnes, Tom O’Connell, David Burns and William Casacoli. Registration is still possible through www.baseball-in-europe.com.